Have you ever wanted a flashlight with that extra "kick" to it? 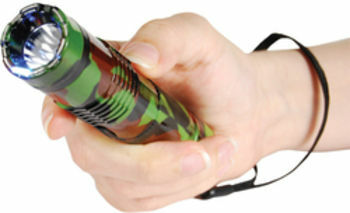 A flashlight that's safe enough to carry yet strong enough to thwart an attack? That's not possible, right? WRONG! 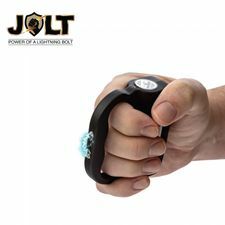 The Lightning Rod Stun Pen is here, and has the capability to function as a flashlight and also as a self-defense device! Stun Devices can not be shipped to New York, Massachusetts, Michigan, Illinois, New Jersey, or the city of Philadelphia, PA.
Stun Pens have always been favorites for the clandestine type. 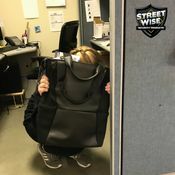 Having an effective means of self defense while not showing off or giving away your defensive secrets is a major plus for a lot of people. 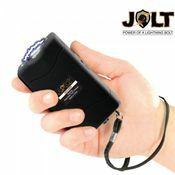 Now, with this much improved upon design with a high voltage capacity, you can have a small and powerful, super charged stun pen at your disposal. You're carrying around a flashlight, but with a shocking surprise! 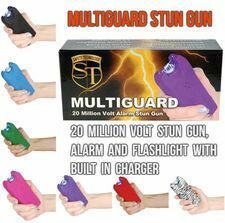 Strongest Stun Pen: At 800,000 volts this is the highest voltage pen type stun gun available. 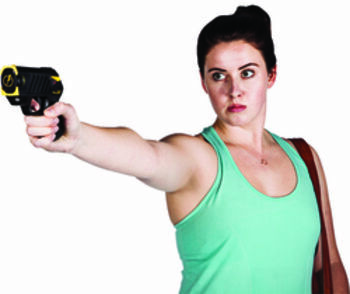 Just test firing this unit into the air is often enough to stop an attacker. As the bright electric current pulsates across the top of the unit it, creates an intimidating electrical sound. An attacker with any sense at all will be stopped in his tracks. If the sight and sound doesn't stop him, a jolt from this stun pen certainly will. Powerful LED Flashlight: The built-in LED flashlight provides a convenient source of light whenever you need it and eliminates the need to carry a heavy, bulky flashlight. When asked what that is, you simply tell them it's a flashlight. No one needs to know that it's really a stunning device. 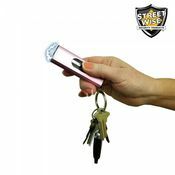 Protective Cap and Safety Switch: To prevent the stun gun from accidentally discharging, three levels of safety have been built in. The protective cap must be removed, the safety switch must be in the "on" position, (this will cause a red LED warning light to come on) and the trigger button pressed down. 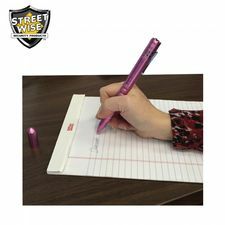 Holster Included: Although this self defense pen is slim enough to carry in your pocket or slip into your purse, we have included a holster for those who wish to carry it on their belt. Batteries Included: We have included two CR2 (3 volt lithium batteries). 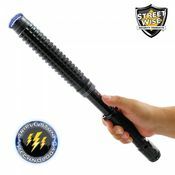 Lifetime Warranty: The Lightning Rod stun pen is made of the highest quality components and comes with a lifetime warranty.